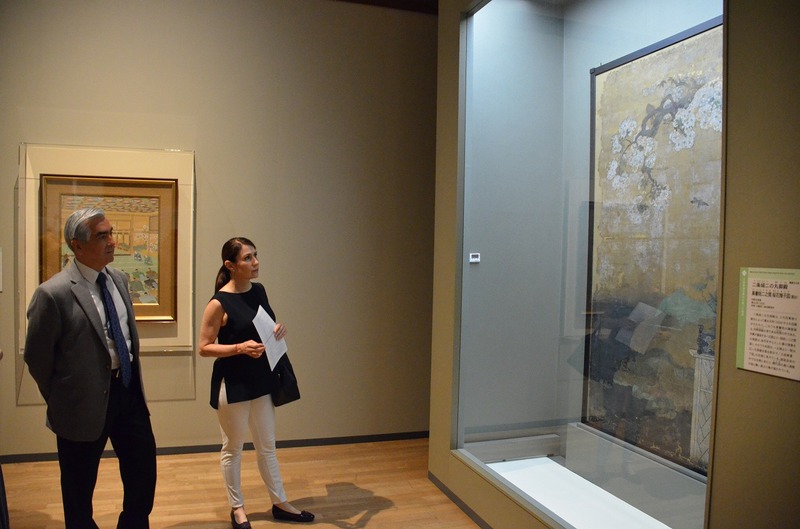 On July 13, the Ambassador of Mexico to Japan, H. E. Mr. Carlos Fernando Almada López and his wife visited the University Art Museum and enjoyed a special exhibition on an NHK historical drama “Segodon” (held during May 26 – July 16). 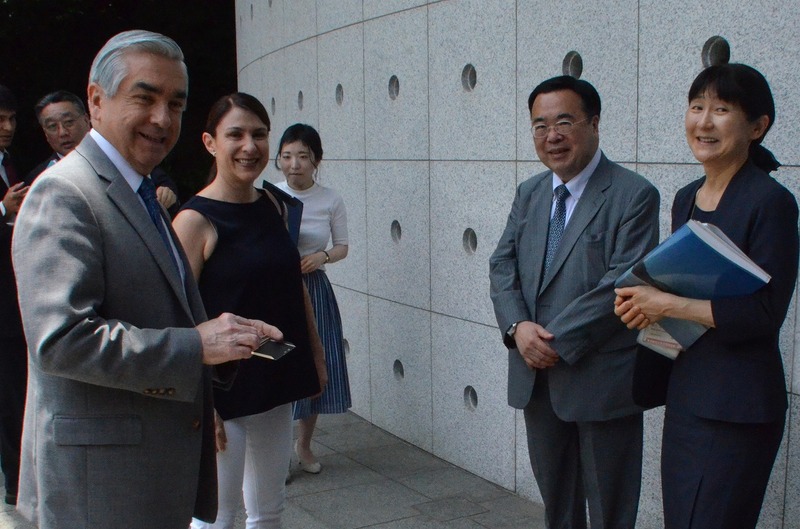 Mr. and Mrs, Almada enjoyed the exhibition along with the other visitors, guided by President Sawa and Professor Kurokawa. 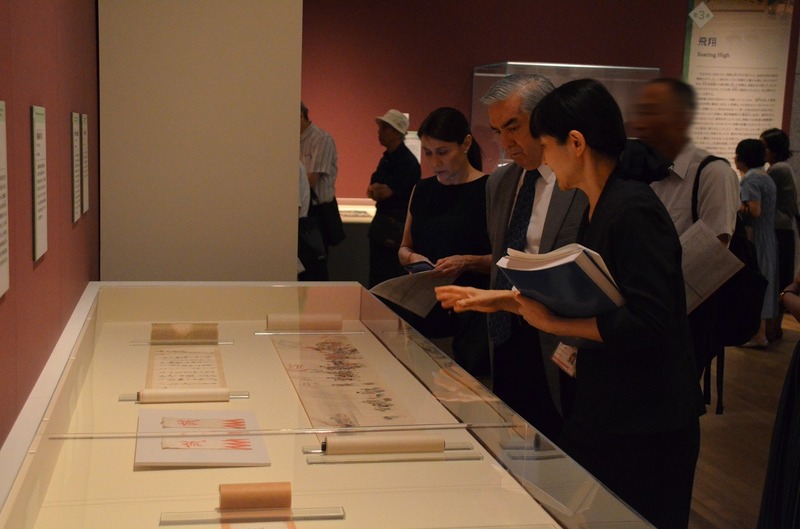 With his interest in Japanese history, particularly in the last days of the Tokugawa Shogunate, Ambassador Almada looked at the precious historical documents one by one, while keenly asking questions regarding the historical background in response to the careful explanation of the exhibits provided by Professor Kurokawa. Through this visit, Ambassador Almada deepened his understanding about the period of Takamori Saigo and the Japanese culture at the time.